Boiling beef is easy and efficient. Beef can be cooked in a variety of ways depending on how it is going to be used in a meal and the particular tastes of the chef. It can be barbequed on a grill, broiled, braised, fried, slow-cooked in a crock pot or cut up for use in stews, soups and casseroles. 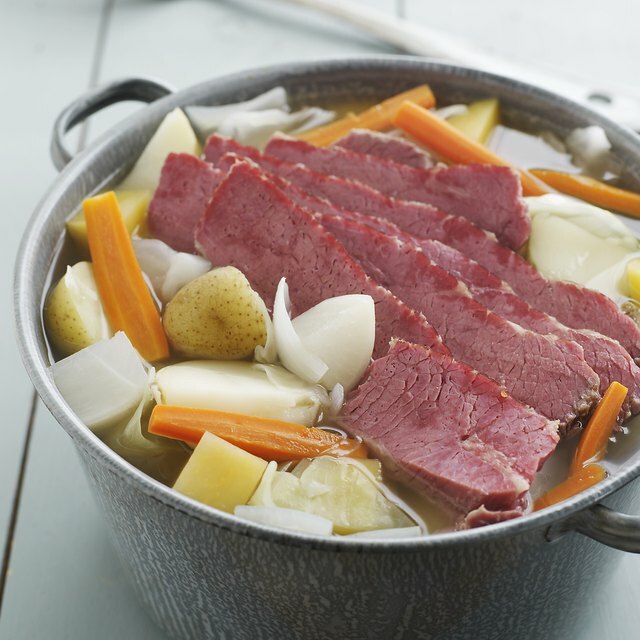 Many people choose to boil beef in water for its ease, flavor and tenderness. 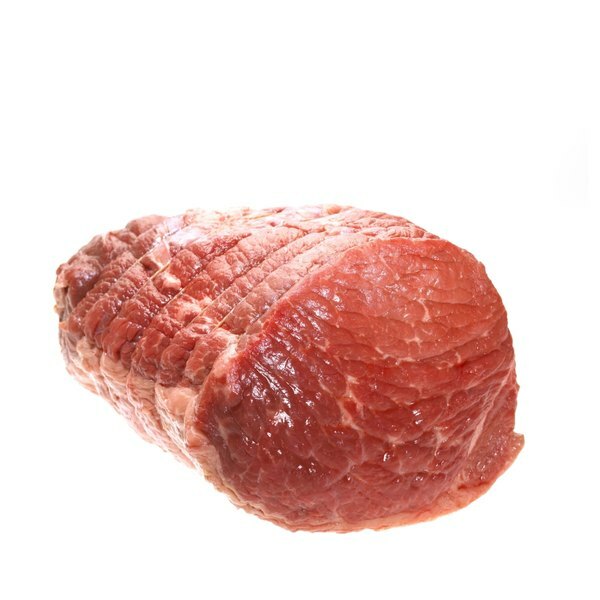 Boiling beef tends to harden the albumin (a protein) over the entire surface of the cut, which makes a coating through which the juices cannot escape. This contributes not only to the juiciness but also the tenderness of the beef. Place the desired cut of beef on the cutting board. Trim any unwanted excess fat off the beef with the knife. Place the beef into the cooking pot. Fill the cooking pot with tap water. Cover the entire cut of beef, if possible, to provide even cooking of the beef and to ensure maximum moisture is retained in it. If it's not possible to completely cover the beef with water, then use the serving fork to periodically rotate it in the water while cooking. Add approximately 1/4 teaspoon of salt for each quart of water. Salt helps to eventually dissolve and coagulate the excess albumin on the meat, causing it to rise to the surface in the form of foam. Some albumen will remain on the meat to help seal in the juice. The salt also slightly raises the boiling point of the water and increases its density, which also helps to seal in juices. Bring the water to a rapid boil, cover the pot and reduce the heat until a gentle boil is achieved. Allow approximately 12 to 15 minutes of cooking time per pound of beef, but keep in mind that thinner cuts with more surface area will require less time to cook than bulkier cuts of meat. Remove the cover periodically and scoop out and discard any foam that forms on the surface of the water. Monitor the level of the water and add more when necessary to keep the beef covered. Check the temperature of the beef periodically by inserting the metal tip of the food thermometer toward the center of the cut. The USDA recommends a minimum internal temperature of 145-degrees Fahrenheit to ensure beef is safely cooked. Once the minimum temperature is reached, continue cooking if more tenderness of the beef is desired. Remove the beef from the water, place it on a clean cutting board, and cut into desired portions. The resulting stock in the pot may be used as a broth, for gravy or discarded. Try adding different spices to suit your personal tastes. Vegetables may also be added to make a complete meal, and the flavors of the beef and vegetables tend to complement each other.